Effective Space is pioneering a new era in last-mile logistics in space that will see its SPACE DRONETM spacecraft fleet deployed to provide auxiliary services to space assets. Initial services to be provided by Effective Space will be life-extension for satellites in Geosynchronous Earth Orbit. 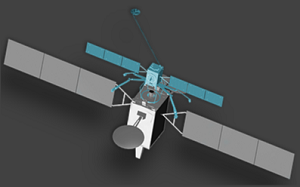 The company’s first contract, signed in 2017 with an international satellite operator, will see two SPACE DRONETM spacecraft launched in 2020 to extend the life of two existing satellites, and is expected to generate revenues of more than US$100 million. The design of the SPACE DRONETM spacecraft is a result of decades of experience in the field of small satellites. ‘Phase One’ services will see the spacecraft dock with existing satellites in Geosynchronous Earth Orbit that are reaching the end of their normal life expectancy. The SPACE DRONETM spacecraft will provide station-keeping and attitude-control, relocation, deorbiting, orbit and inclination correction, and is capable of providing up to 15 years of overall life-extension service. Logistics in space is a rapidly developing market and further services will see platform adaptations to support the evolving low-earth-orbit and medium-earth-orbit constellations, as well as active-debris-removal and in-space explorations, mining and manufacturing logistics. To meet the expected market opportunity, Effective Space ultimately anticipates a fleet of several dozen SPACE DRONETM spacecraft to be launched and operated.